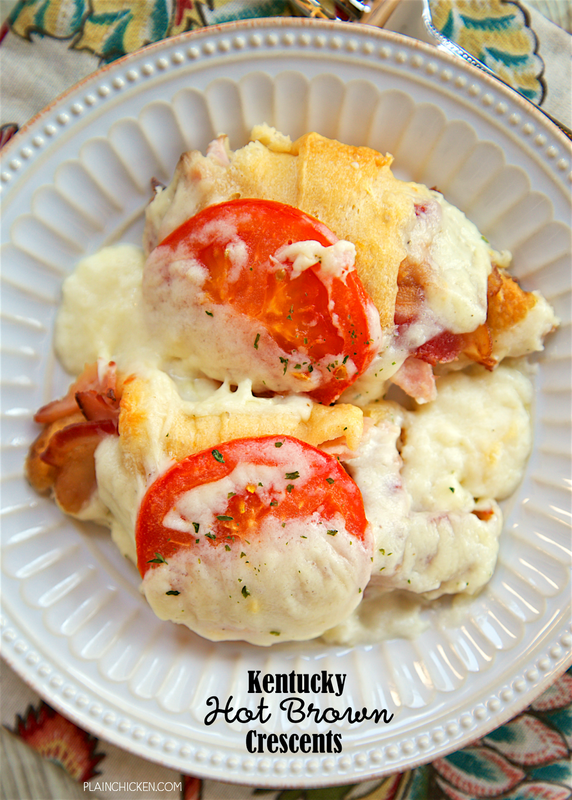 Kentucky Hot Brown Crescents - Turkey and bacon wrapped in crescent rolls and topped with a tomato slice and a homemade swiss cheese sauce and baked. SOOO good! 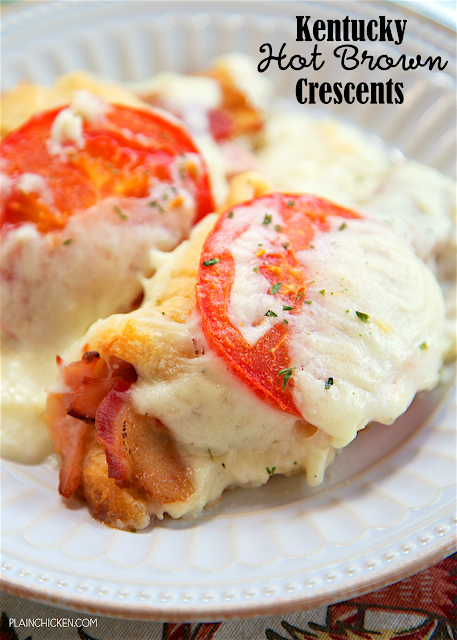 Perfect for you Kentucky Derby party or a delicious lunch or dinner! The Kentucky Derby is coming up next weekend. We aren't into horse racing, but we always watch The Derby. It's a great excuse to eat good food and drink bourbon! 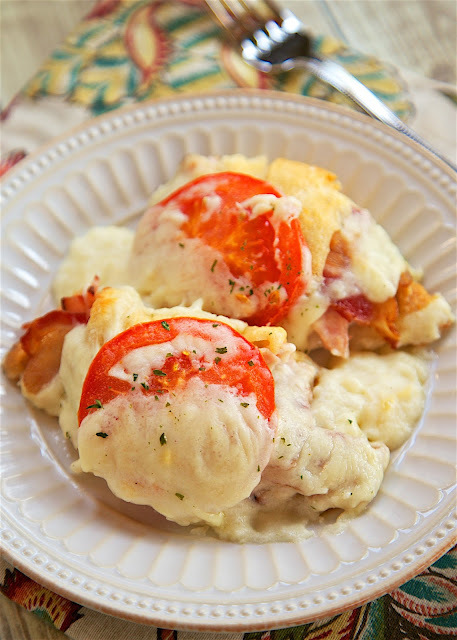 These Kentucky Hot Brown Crescents are perfect for watching The Derby. 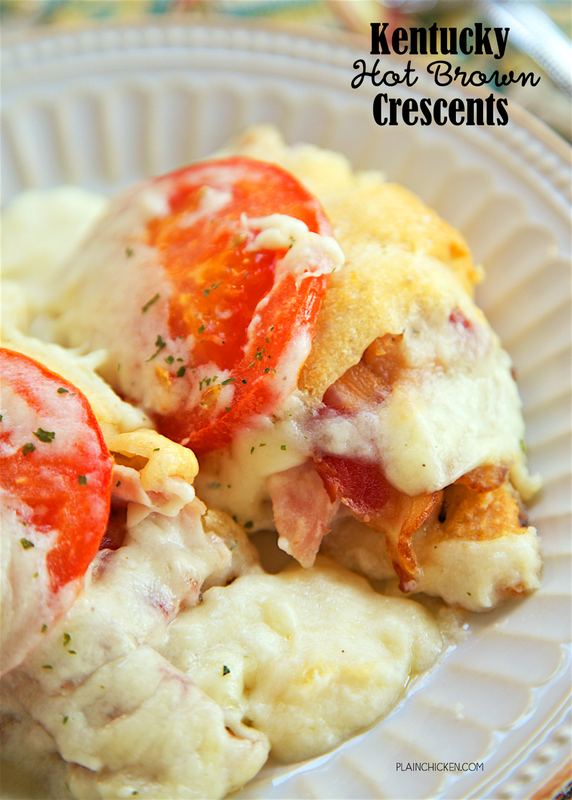 Turkey and bacon wrapped in crescent rolls and topped with a tomato slice and a homemade cheese sauce. How could they not be good?!?! I used some Oscar Mayer Carving Board turkey in the crescents. I wanted thicker slices of turkey and the Oscar Mayer Carving Board turkey worked great. 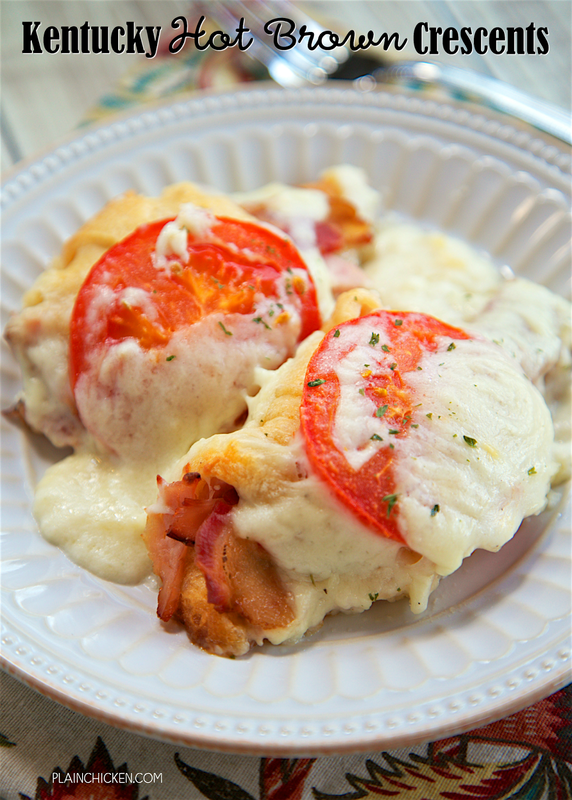 You can also use sliced deli turkey in these if that is what you have on hand. Either way will work great! I took shortcut and used precooked bacon for this recipe. I have a big package of precooked bacon from Costco and it worked great. I used it frozen and it baked up nice and crispy. 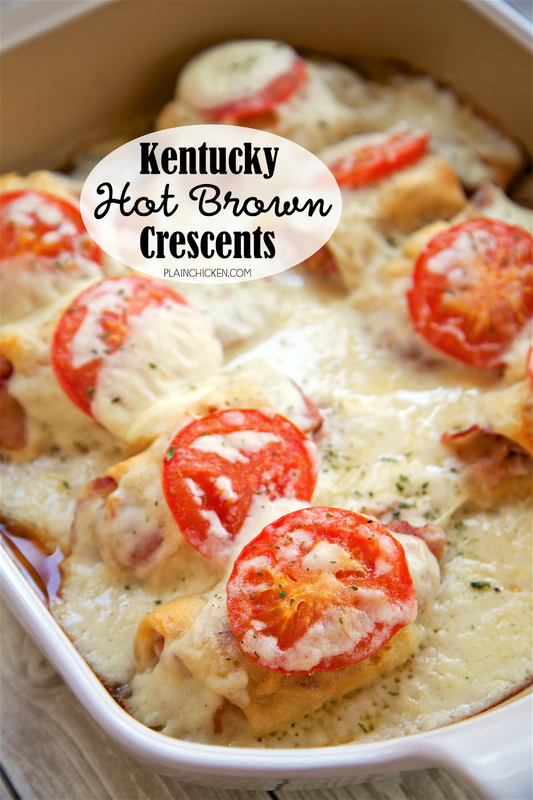 Whether you make these for your Derby party or a delicious lunch or dinner, these Kentucky Hot Brown Crescents are guaranteed to be a hit! Preheat oven to 375ºF. Spray a 9x13-inch pan with cooking spray. Set aside. Separate crescent rolls into triangles. Divide turkey between crescent rolls. Cut each slice of bacon in half, place on top of turkey. Rollup crescent rolls and place in prepared pan. Place one slice of tomato on top of each crescent roll. Pour Mornay sauce over crescent rolls. Love how easy and delicious these are!